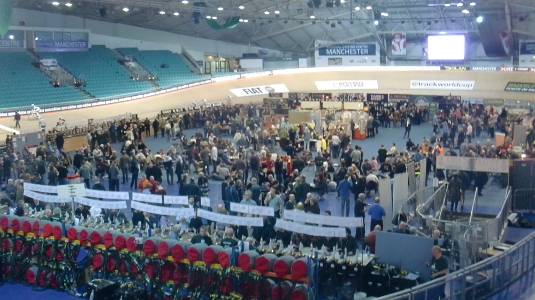 I attended the Manchester Beer and Cider Festival 2014 which is being held, slightly surrealistically, in the middle of the Velodrome at the National Cycling Centre. 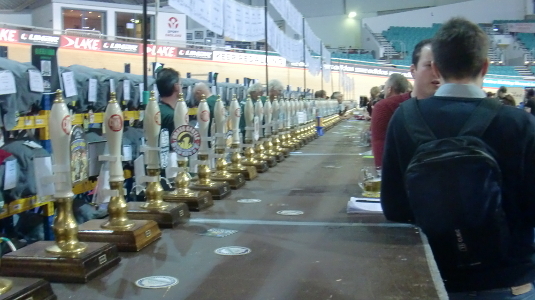 On my visit on Wednesday 22 January 2014 I sampled many fine ales, including beers from Marble, JW Lees and Joseph Holt. The festival runs until 25 January 2014.